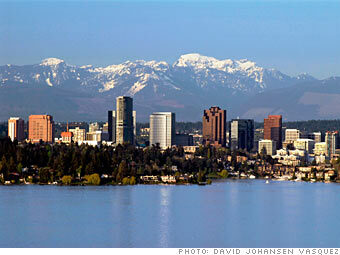 Want to get to know Bellevue better? How about from a real estate perspective? Check out the Meet Bellevue blog. Enough said. 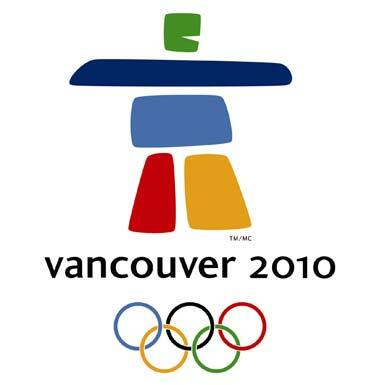 With just a few weeks left, chauffeured transportation to the 2010 Winter Olympics is running out. Rare Form Limousine is one of the few Seattle-based chauffeured transportation providers approved by the USDOT for interstate and foreign travel. Call us at 877.789.RARE to arrange your hassle free chauffeured transportation from the United States of America to Canada. USA! USA! USA! It’s that time of year again! In addition to local opinions of the best Seattle Christmas Light Displays, Rare Form Limousine has a huge list of Christmas light displays and holiday light displays stretching from Lynnwood to Tacoma. Plan your own tour, or have us plan one for you. Most displays are up by December 15, so give us a call at 877.789.RARE and book your holiday light tour today! 10% off Reservations for Black Friday Shopping! Are you planning on shopping on Black Friday? Do you love the bargains but hate the hassle of traffic, parking, and carrying all your purchases? Let Rare Form Limousine’s professional chauffeurs remove the hassle of shopping after Thanksgiving. We will pick you up at home, drive you through traffic as you relax in the back, and drop you right at the front door of your favorite stores and malls. We’ll even come get your packages and take them out to the vehicle as you continue to shop. We’re offering 10% off all reservations from 6:00 am to 10:00 pm on Friday, November 27, 2009. If you split the fee with several of your favorite shopping pals, all this convenience can be enjoyed for as little as $12 per hour per person (plus gratuity). Call Rare Form Limousine today at 877.789.RARE to book your personal shopping helper! The single most popular request made by our clients during a limousine ride is to be taken on a scenic drive. While Washington state is covered in beautiful scenery, not many places close to our metropolitan service area are truly scenic. Many people have the same favorite requests, the most popular being cruising around Alki Point. Another popular choice for easy scenery is driving across Seattle’s Magnolia neighborhood. It seems that the most popular sight around is downtown Seattle, since it is the main visual attraction in both of those destinations. We think the cityscape is beautiful, too, which is why when we are driving to downtown Seattle from the airport, we usually enter the city via the Alaskan Way Viaduct. This highway steers you literally right next to the city, providing an “in your face” view that has to be experienced with someone else driving to fully appreciate the beauty. We’ll be sad if the Alaskan Way viaduct is replaced with a tunnel or surface street. 50% off at the W Hotel?! You read that right: Starwood Hotel & Resorts, which owns the Westin and W hotels among others, is discounting some rooms 50% in a new price-slashing promotion designed to stimulate occupancy. However, according to this article, this could be the wrong formula for the long-term health of the hotel industry. This offer won’t last, so take advantage of it while you can. You can even have a staycation right here in Washington—the W Seattle is amazing and is worth every dollar, er, fifty cents. When’s the last time you took a trip to the Seattle Aquarium? We just dropped some prom clients at this venue, and remembered how cool it is! Not just an aquarium, this space can be rented out for private parties; some of the Rare Form Limousine staff even spent New Year’s Eve 2009 at this diverse attraction. In addition to the usual aquatic displays, the Seattle Aquarium can be rented out as an event facility. Located on Seattle’s Pier 59, the Seattle Aquarium should be on your list of things to see in Seattle. WordPress generated this page with 29 queries, in 0.586 seconds.